Did you know the actual cost of each concert is seventeen thousand dollars ($17,000)? The La Mirada Symphony Orchestra strives to maintain its policy of offering FREE quality concerts to the residents of Southern California. In 1961, creating a Symphony Orchestra for the community was the dream of Blanche Nissim, a La Mirada resident and concert pianist. She and a determined group of community advocates and local musicians united to make her dream a reality. Their Mission was to provide free concerts for residents who appreciated the cultural value of beautiful music in their lives and an opportunity for local musicians to share their talents. The make-up of the orchestra has changed from mainly hobbyist volunteer musicians to including the many professional musicians we enjoy hearing today. However, excellence comes with a price. In an age when support for the arts from public money is growing increasingly scarce, individual support is more vital than ever. A gift to the La Mirada Symphony is an investment in the potential for the musical arts to create a better world. You have options. Make a choice. Whichever you prefer, know that your commitment is key to enriching the symphony with the opportunity to continue assisting us with providing concerts to the local population and opening up possibilities. 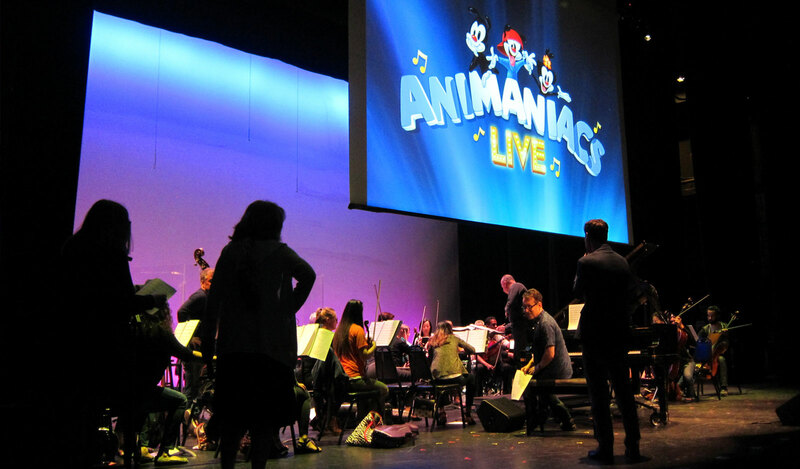 Gifts and donations from supporters like you made events like Animaniacs Live! possible. Donations help sustain our music programs that are renowned, highly respected and legendary for their rigor. Any amount has a positive impact on the Symphony. Donations may also be made via PayPal to lamiradasymphony@aol.com. If you have a gift you would like to donate to our opportunity drawings, please contact us at the same email address. At each concert, we host an opportunity drawing that includes donated gifts from local businesses and individuals. The funds made from these drawings assists the Symphony in providing free concerts. Participating with the Symphony and offering your expertise in such programs like grant writing, community fundraising, marketing or volunteering with opportunity drawings not only helps enhance the Symphony’s reach, it also creates an enriched community experience. Be sure to visit the Volunteer page for more information on how you can participate. The Symphony is a 501(c)(3) non-profit organization. All donations are tax deductible. Your tax-deductible gift helps the Symphony deliver inspiring, free concerts to thousands of local residents in Southern California. If you have any questions, comments or would like to participate with us, please feel free to contact us. Musicians should contact Orchestra Manager Joan Cain at jfcain@att.net or for more information.